Xiaomi launched its Redmi Note 3 smartphone in India last month starting at Rs. 9999. 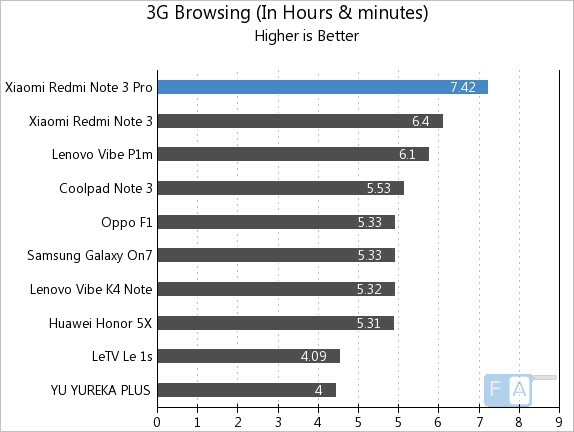 We already brought you the review of the Redmi Note 3, here are the battery life test results of the Snapdragon 650 version, which is also called the Redmi Note 3 Pro in China. 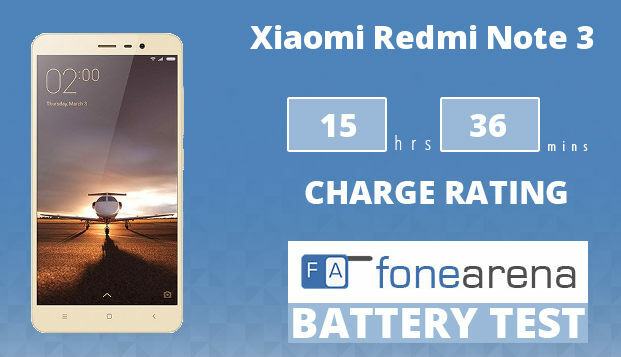 It packs a 4000mAh (minimum) / 4050 (typical) built-in battery, which is larger than the than 3060mAh battery on the Redmi Note 2 and also includes support for fast charging so that you can charge the phone fully in just an hour. It has a 5.5-inch 1080p display and runs on MIUI 7 based on Android 5.1 (Lollipop). Check out the test results below. 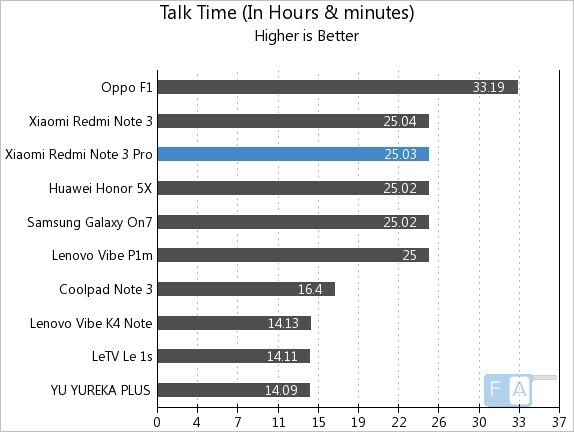 It lasted for 25 hours and 3 minutes in our talk time test, similar to the Helio X10 variant. 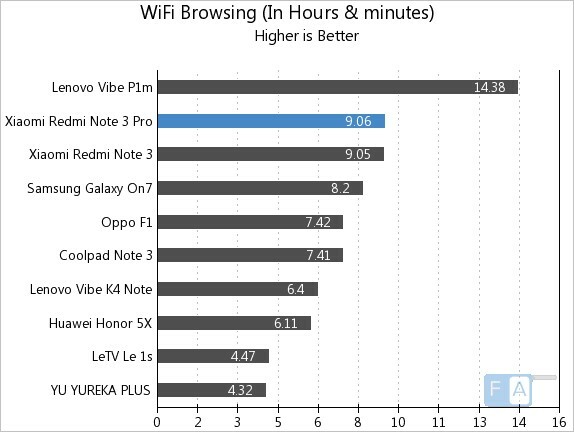 It lasted for 9 hours and 6 minutes in our WiFi Browsing test, similar to the Helio X10 variant. 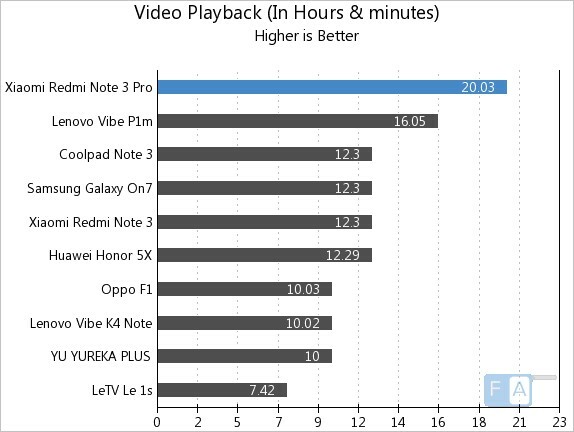 It lasted for 20 hours and 3 minutes in our Video Playback test and topped the charts. 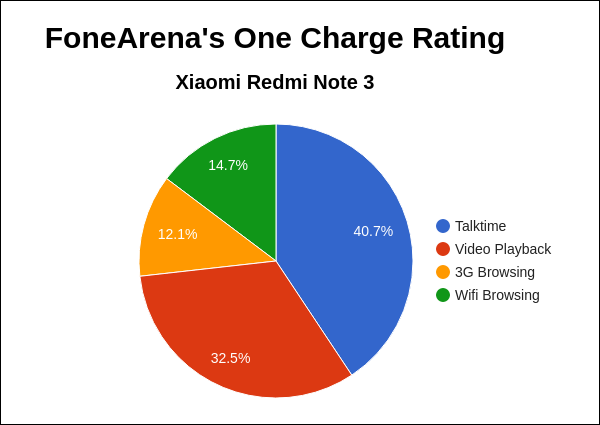 It achieved a One Charge Rating of 15 hours and 36 minutes, which is better than the One Charge Rating of 13 hours and 19 minutes in the Helio X10 variant, mainly due to its brilliant video playback test result. Check out our battery test procedure to know more about our tests in detail.